Choose an Option: Round - 6" x 36" (+27.11)Round - 6" x 12" (+6.62)Half Round - 6" x 12"
descriptionPremium EVA foam rollers are perfect for positioning, balance, postural and muscle re-education, spinal stabilization, body awareness and coordination, and ranging and strengthening activities. Round rollers offer progressive exercise sequences - user can graduate from an easier (smaller diameter) to a more difficult (larger diameter) roller. Half round roller is a great tool for ankle stretching and knee rehabilitation. Diameter refers to the width of the half-round profile. The EVA rollers are strong enough to be used by large adults and active children. Foam rollers are available in 36" and 12" lengths with either a round (circular) or half-round (semi-circular) profile. 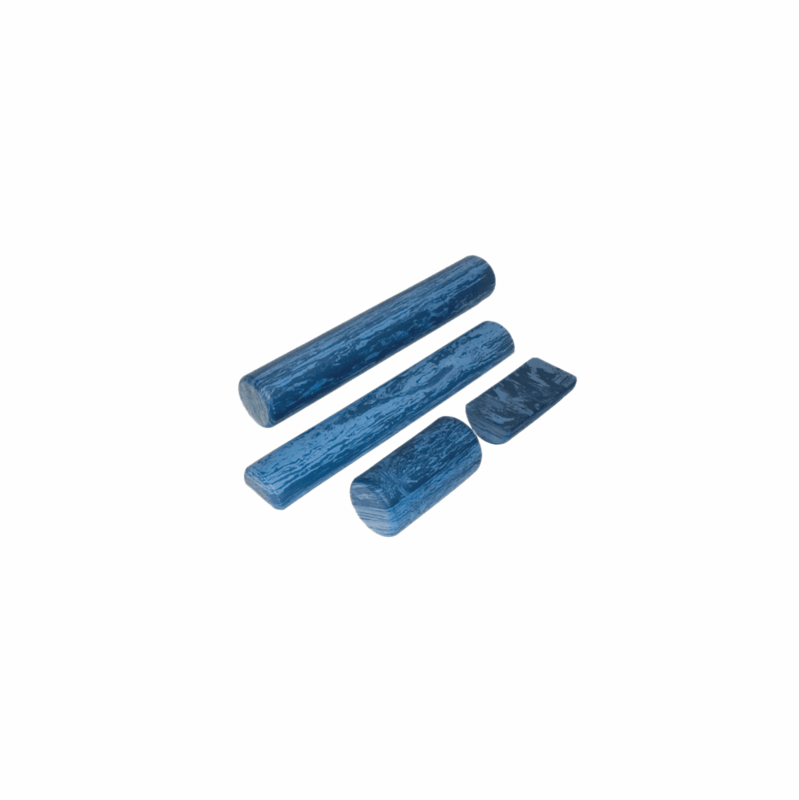 This line of rollers is available in marbled blue. The EVA foam rollers are known for their firmness and soft touch. EVA foam is durable and a premium product.